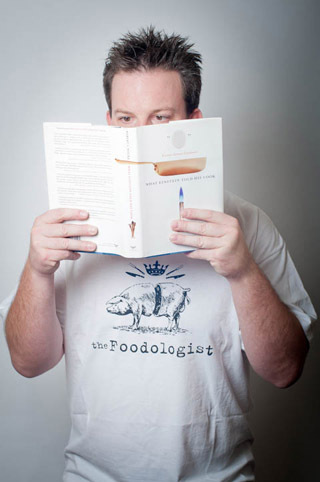 The Foodologist was started by me, Dr George R. Ujvary in 2005 and is thought to be South Australia’s longest running food blog. After finishing a number of degrees in Physiology including a PhD from the University of Oxford, I came back to my home town of Adelaide to work for my family business, Olgas Fine Foods which my father started over 35 years ago. During that time I have worked in all areas of the food business and in 2006 became Managing Director of the company. In addition to working as a food producer within my business, I have completed the Le Cordon Bleu MA in Gastronomy at the University of Adelaide for which I was awarded scholarships from the Australian Association of Food Professionals and the Culinary Trust (part of the IACP) and in 2012 finished an MBA at the University of Adelaide. I also lecture in Gastronomy at Le Cordon Bleu, Australia as part of their Food and Wine Entrepreneurship degree and sit on the boards of Food South Australia, the peak food body for South Australia and Master Butchers Limited, South Australia’s oldest co-operative and suppliers to the Australian meat industry. In February, 2015 I was given the opportunity to deliver a TEDx talk at TEDx Flinders University. PLEASE NOTE: THE LOGO ON THIS SITE, CONTENT AND PHOTOGRAPHY FEATURED ON THIS SITE IS EITHER OWNED BY THE FOODOLOGIST AND IS SUBJECT TO COPYRIGHT PROTECTION � OR USED BY EXPLICIT PERMISSION BY THE OWNER. Filmmaker Robert Kenner lifts the veil on the American food industry, exposing the highly mechanized underbelly that has been hidden from the consumer with the consent of the government. Exploring how the nation’s food supply is controlled by a handful of corporations that put profit ahead of consumer health, the livelihood of the American farmer, the safety of workers and the environment, interviewees such as Eric Schlosser (Fast Food Nation), Michael Pollan (The Omnivore’s Dilemma, In Defense of Food: An Eater’s Manifesto) and forward-thinking social entrepreneurs reveal surprising – and often shocking – truths about what we eat, how it’s produced and where the planet is going from here. For interested people, there are discounted rates for groups, so please email me as per above if you or your members, want any further information or to make a booking. Thankyou for letting me know about Food Inc! I soooo want to see it as I’ve heard a lot about it. I hear it’s pretty much Omnivore’s Dilemma (Michael Pollan) as a movie. Will be there to see it for sure. See you soon. Currently liking BBQ city on Gouger and Mandoo on Bank St. Both cheap and good. Hello! We’ve just jumped into the food blogging scene, representing SA! (there’s not a a whole lot of us around). You’ve got a good looking blog – great content. Come check us out! We need to build the SA food blogging scene. I am about to try your cupcake recipe for my son’s birthday. I am a truly tragic baker so I have high hopes that they will be easy and elicit the oohs and aahs you have been able to procure. I have an admittedly daft question. Your recipe says to put the filled cupcake cases onto a baking tray. Is this instead of a cupcake tin? Does it matter? By way of background, I too am an expat – born in California, spent 1/2 my life in NYC and now live in Tasmania… It’s different. another good movie would be that one here! Can I please have your email address? 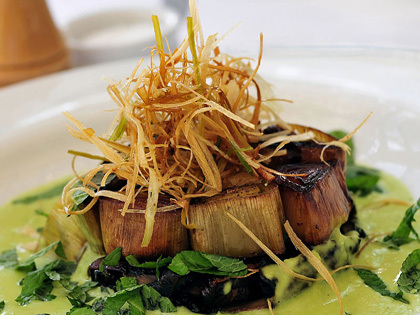 We’d like to invite you to a dinner event at a North Adelaide restaurant on 24 April. I am doing some research with this idea of �putting love into food�� how can I contact you?